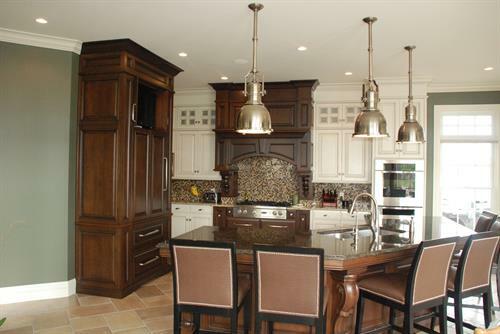 Since 1985, A & J Woodworking Inc. has been creating beautiful custom cabinetry for the home and business. 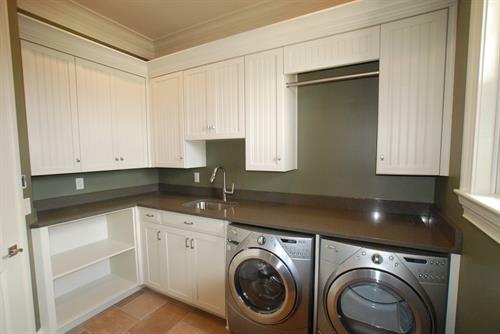 Specializing in kitchen and bath cabinetry, bars, offices, utility cabinets and much more. 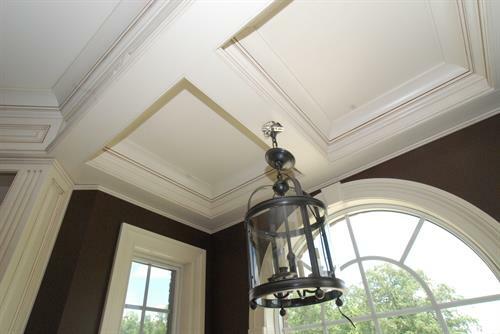 We use high quality materials....... many choices of fine hardwoods, dovetail drawers with soft-close glides, and smooth durable finishes in today's stain, paint, and glaze colors. And let us provide you with interior doors, trim, and hardwood flooring to showcase any area of your home. 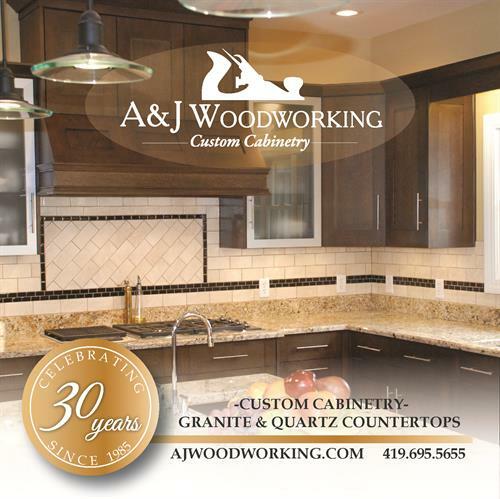 A & J Woodworking offers a wide selection of countertop materials including granite, quartz, laminate and solid surfaces. Visit our showroom and see all 120 color samples of Cambria® natural quartz surfaces as well as a nice display of other quartz and granite samples. Our commercial resume includes bars, reception counters and cabinets. See our work at Beer Barrel, Old City Prime, Delphos Trinity Family Life Center, The Union Bank, McDonald's, The Vein Care Center and more! Showcase your home with an A & J kitchen today!